In May 2005, Barnstorm and the Transition Year students of Grennan College, Thomastown in Couty Kilkenny presented Forward Through The Past, a devised one-act play. This was an inter-generational community project. The play was the culmination of an eight-month project that introduced the students to theatre and drama and encouraged dialogue/ connections with the senior citizens in the community. Initially students were introduced to theatre through a range of drama workshops, during which they learned drama skills as well as developing interpersonal skills, such as teamwork and self-confidence. The students then interviewed senior citizens in the community- family members, friends or neighbours- to find out what life was like when they were teenagers. Using the results of their research, and working under the guidance of playwright Ken Bourke, the students developed a script around the similarities and differences between the experiences of their elders and their own lives as teenagers. The result was a thought-provoking and honest comment on the changing and the prevailing values and concerns in today’s society. Forward Through the Past was presented in the Community Hall in Thomastown to an audience made up of the the older citizens who fed into the project, the students & teachers of the Grennan College, families, friends and the general public. 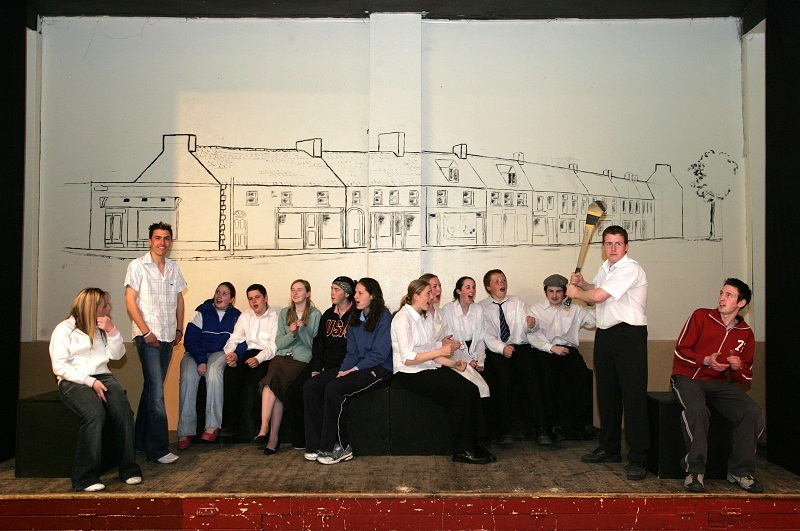 Performances were 14th & 15th May 2005. The Outreach Programme received generous support from the Irish Youth Foundation in 2004-2005.